Before joining OLC (Europe) Ltd Chris worked as Operations Manager for a multi-national manufacturing company for 8 years and prior to this worked as Quality Manager for a leading U.K manufacturing organisation. Chris now draws upon over 17 years industry and business experience to provide OLC (Europe) Ltd with its strong leadership and direction. Responsible for the operations and finance side of the company, including invoices and wages, Mark is also responsible for recruitment and has taken part in a world class manufacturing course and a management development course. As an administrative professional with a BSC(Hons) and over 6 years experience, Jonathan supports the company to improve communication, internal processes and advise organisation on external bodies. Jonathan also oversees the admin team and is responsible for designing and delivering online learning material. Rachel is the head of student welfare and administration and has many responsibility including liaising with partner colleges and overseeing student finance. Rachel provides general advice and support for our students, as well as working with and managing the administrative team dealing with a multitude of student data and queries. Jane provides general advice and support for our students, working just over 5 years for the company as part of the reception team sharing such responsibilities as dealing with security recordings, keeping continuity of student rotations and attendance as well as processing student applications as part of the recruitment team. Elaine provides general advice and support for our students at the front desk, working just over 5 years for the company as part of the reception team dealing with a multitude of student data and queries. Elaine is also responsible for stock control across campuses and ensures consumables and stationary are upkeep. Samwarit has a lot of experience of performing office administration and customer focused roles to high quality standards. Part of Samwarit's responsibilities include overseeing student queries and supporting the office team to ensure smooth running day to day activities. Ryan is currently studying multiple L3 and MTA awards as well as providing help and support as part of the recruitment team, earning valuable experience in many departments as a member of the I.T department. Christopher is responsible for the security and maintenance of the OLC, this includes liaising with tenants regarding upkeep of premise, car parking and emergency call-outs and support. With over 16 years of industrial experience Professor John Sharp leads the multi-disciplinary group of internal PhD students in the research center for organisational excellence which he built from nothing. With a PhD in philosophy John has graduated multiple PhD's and has spoken at conferences worldwide where he is known for his scholarly activities. With a PGCE in education, teaching learners with additional needs Sarah is currently studying an Inclusive Education Masters Degree at Bolton university. Sarah is an internal verifier for HSC and is working on a new programme to deliver RQF healthcare practice for England. As a lifelong learner of pedagogy Mathew has achieved a Masters degree in educational management and a degree in psychology BSC (Hons). Mathew is a QTLS qualified teacher with a level 3 diploma in health studies and psychology and teaches materials in HNC/D, BTEC business and HASC. Ashley has achieved a BA(Hons) in literature, an MA in English studies, business L7 And Teacher Training L4. Working for OLC for 6 years Ashley is a tutor for business and has governed exam boards. With a masters in business administration, a BA(Hons) degree in business studies and a HNC in business and finance, Nicola has many responsibility as recruitment and marketing manager and oversees the recruitment team. After studying at Salford Business School for 8 years, Bruce is currently in the final stages of achieving his PhD in business management, Bruce is an internal verifier and has worked for assessment bodies such as Pearson. Greg has achieved a C+G teaching certificate, a BA in business studies, has multiple MCD's and a MCSA and tutors L3 and L5 academic sales development. Julie is responsible for planning and delivering BTEC courses and delivers sessions on anger management and stress management. Julie also has a lot of experience dealing and communicating well with students who have SEND needs including ASD, ADHD and BESD issues. With a L2 in business administration, Katie is a student welfare officer dealing with general office duties, student inquires, logging student assignments and emailing students. Kirsty has achieved a BTEC level 2 and national diploma in HASC, HND in HASC, BSC (Hons) in Health and Social care, a PGCE in Education and is currently working as a HASC tutor. Emma is currently teaching a HND health and social care Programme working towards a QTLS. With a PGCE in education achieving Distinctions in theory and in practice Emma has a lot of experience working with special educational needs learners and is currently working as a teacher/personal tutor. Nicey has responsibility of keeping track of student results and progression as well as taking on the general admin responsibilities in the office. Nichola has achieved a PGCE level 7 and a BA in business, Nichola is responsible for teaching, preparation of records, assessments as well as many other personal tutor responsibilities. Stephanie has achieved a BA(Hons) businesses management degree, is a personal tutor and is responsible for L3 procedure assessments and teaching material. An ex army officer, Frank has gained considerable experience in the trading and commerce sectors where he has worked as a financial coordinator, credit controller and has held many managerial positions. 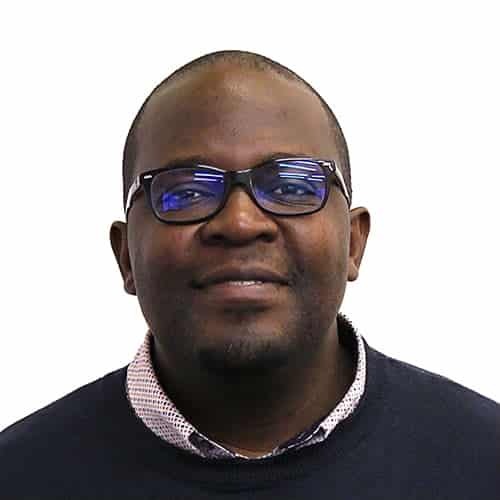 As a PhD student in marketing in higher education and quality management, Faical teaches project and quality management has been a lecturer at Niels Brock Business College and an external lecturer at De Montfort University. Facial has also achieved an MBA in business administration and research in comparative cultural studies as well as a PGT in teaching business. Currently studying a PhD in business management, Enis has achieved a PGCT L7 in higher and professional education, a L4 in education and training and a BSc(Hons) in international Agribusiness management. His key responsibilities include delivering learning material, tutoring and workshops. With a passion for supporting young people Enock has achived a level 7 TLAN with a Merit in coursework and Distinction in practice. 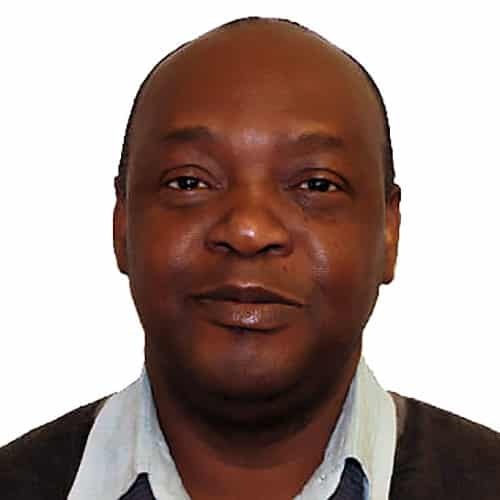 Enock has a PGCE (Merit), HE psychology, QTLS and community health diploma with a youth and community work BA(Hons). Waseema has achieved PGCE in teaching learners with additional needs, a level 5 in health and social care and a masters in English language teaching (ELT). Charlene is currently studying a masters in inclusive education, has achieved a PGSE, a BA (Hons) in accountancy and delivers sessions on financial accounting and management accounting. Jennifer has achieved a PGCE 14+, LLM in legal practice, a graduate diploma in law and a BA (Hons) in English with creative writing. Jennifer delivers sessions on the HNC/HND Business programme to a diverse range of learners. Achieving a BSc(hons), a PGCE 14+ and a psychology degree, Carol has a lot of experience teaching ESOL to students, creating schemes of work, lesson plans and managing classroom support. Carol is now tutoring foundation at the OLC. Olu has achieved a bachelors of business in management, a PGCE, CILT diploma and Msc logistics and supply chain management. Olu's responsibility include teaching operations management and marketing essentials. Simon has a lot of experience in all areas of admin, is TEFL qualified and is currently studying Edexel BTEC L7 in strategic management and leadership and preparing to teach in the lifelong learning sector. Simon's responsibilities include supporting students and providing necessary information and documentation.